Slightly revised version of my column in Hardnews January issue, published in The News on Sunday, Jan 3, 2010, written on Dec 25 with a recent postscript. Writing this on Dec 25, 2009, two words come to mind – ‘morality’ and ‘terrorism’. Flashback to the first Al Qaeda arrest, Feb, 1995: Pakistan’s Federal Investigation Agency (FIA) picks up Ramzi Yousaf, the Kuwaiti-Pakistani behind the 1993 World Trade Center car bomb that killed six people (the target was thousands). 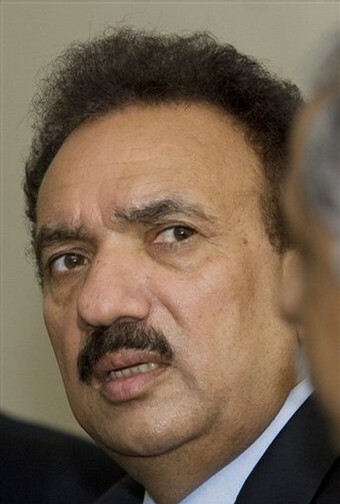 His arrest is credited among others to then FIA additional director Rehman Malik (current Minister for the Interior). ‘Three of (Wajid’s) arteries are blocked. He suffers from diabetes and kidney trouble. On June 3 he nearly passed away. His prison cellmate, the former additional director F.I.A. Malik tended him all night. Miraculously Wajid survived… Months have passed and no formal charges have been pressed. ‘I am surprised the Americans have not raised a hue and cry over the arrest of Malik. Malik was part of the team that responded to the U.S. request for Pakistan to extradite the notorious terrorist Ramzi Yousaf wanted in the New York World Trade Center bombing. The American negligence of Malik will hardly embolden others to risk their lives for global values in the future. December 2009: The Supreme Court strikes down the National Reconciliation Ordinance (NRO), introduced in 2007 by then President Gen. Musharraf that waived charges against Bhutto and others. Malik and Hasan are again in the dock. The NRO can only be defended if you accept it as essential to set aside charges that were mala fide and politically motivated in order to allow the transition from military rule to electoral politics. Bhutto chose this path rather than allowing Musharraf to pardon her in his capacity as President, and gained immunity for others. Most NRO beneficiaries are bureaucrats (not politicians), and most are from Sindh. 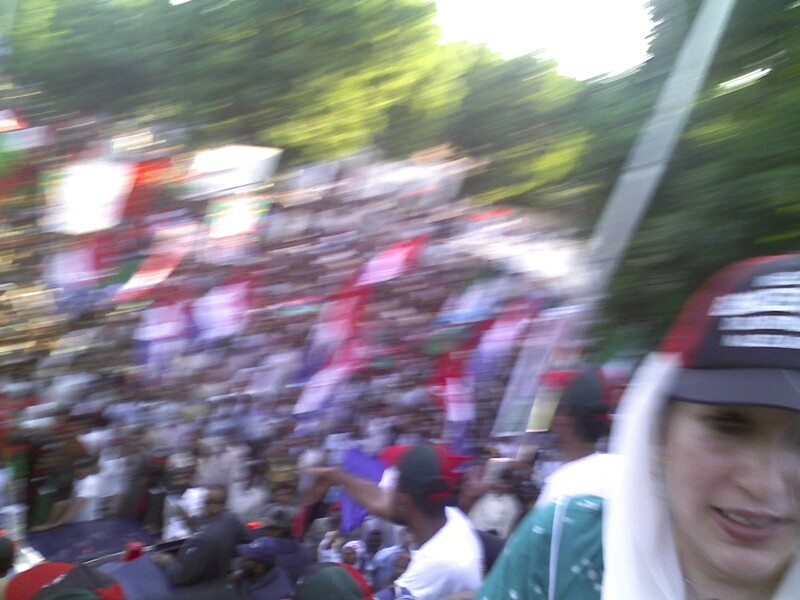 The ruling stressed Article 2A (the controversial Objectives Resolution of 1948 which enshrined Islam as the ‘state religion’), and struck down a law that countered Article 62(f) which requires parliamentarians to be, ‘sagacious, righteous and non-profligate and honest and ameen’ (pious), standards introduced by the notorious Zia regime, considered “undemocratic and a tool to keep (parliamentarians) insecure”, as Asma Jahangir put it. Corruption cannot be condoned. But neither can self-righteous morality or terrorism. There are other important battles being fought, like the elected government’s attempt to gain supremacy over the armed forces. This is also the first time a Pakistani government has sought to not only halt the jehadi train set in motion during the Afghan war of 1979 (or earlier), but to steer it away from its traditional anti-India focus. These attempts are different from Musharraf’s famous ‘U-turn’ after 9/11, when under American pressure he ditched the Afghan Taliban but ignored the ‘home grown militants’ indispensible to needling India, primarily in the disputed territory of Kashmir. Alas, a jihadi is a jihadi is a jihadi. Banning one set of jihadis while allowing others to function doesn’t work. They share the same ideology; imposing their morality and dress codes on society, bullying women into seclusion, attacking any form of fun, girls’ education, and those they consider non-Muslim — criminal actions that have gone unpunished. After the Soviets withdrew the jihadis (trained and equipped by America, Pakistan and Saudi Arabia) turned to Shi’ite individuals, gatherings, and places of worship. Between 1989-2000, over 1,500 incidents of sectarian violence in Pakistan claimed about a thousand lives, and injured and maimed over 2,500 (figures extrapolated from the South Asia Terrorism Portal). It was a wise Queen who refused to judge the morality and religious intentions of others: Elisabeth I declared she would not “make windows into men’s souls”. Making such windows opens a can of worms that is difficult to contain. Note: The loss of lives caused by the bomb attack in Karachi on Dec 28 and the organised looting and arson that followed, just three days after the above lines were written, only reinforces the need to move away from ‘moral policing’ to focusing on the criminal deeds of those acting in the name of religion.